Lower East have worked for this event since 2008. We created the visual identity, designed the websites, catalogues, posters, postcards, invitations etc. During the process, we always have an inspiring dialogue and cooperation with the director of the Biennial Susanne Jøker Johnsen. 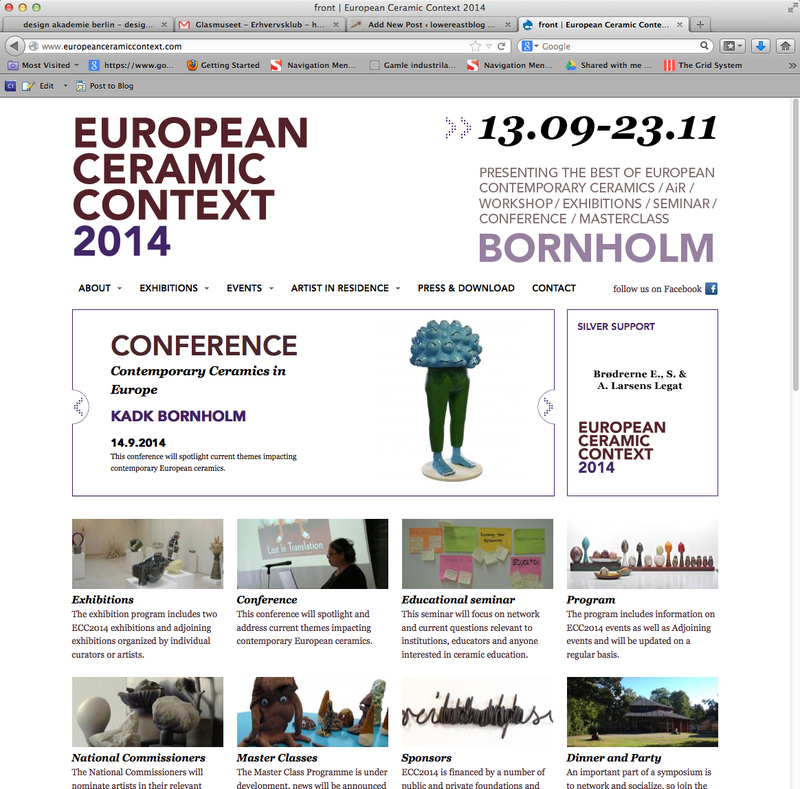 For the European Ceramic Context 2014, which opens 13th September we already designed the website, postcards and posters. For the visual identity we developed a new colour scheme, ending up with a beautiful set of colours ranging from lavender over light and dark violet to a warm clay-grey and a dark liver-brown. For the poster graphics we have been playing around with the clay figures by Danish artist Louise Birch. On the poster we imagined, that the figures were in an exhibition space – exploring art, meeting each other, relaxing and enjoying a bit of yoga in between conferences and workshops. They are full of humour and we love them. 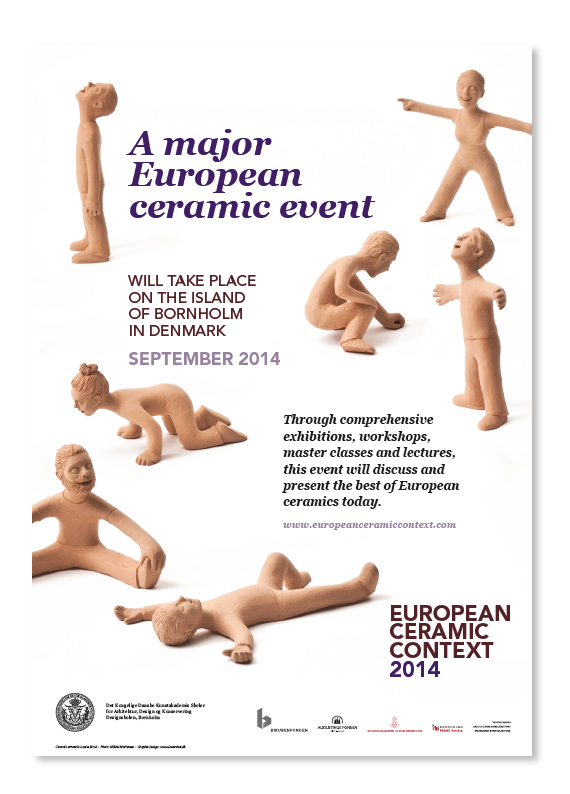 Read much more about European Ceramic Context 2014 on the website. We recommend you to visit Bornholm in September 2014 to see the fantastic exhibitions or maybe take part in a conference, workshop etc. Enjoy! 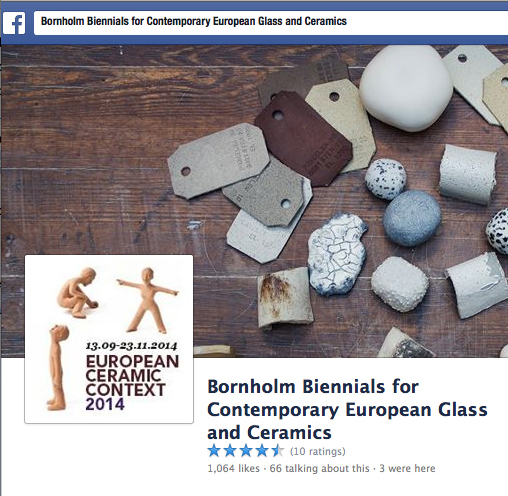 Bornholm Biennials for contemporary European glass and ceramics are jointly organized by Bornholm Art Museum, The Royal Danish Academy, School of Design Bornholm and Grønbechs Gård.